After their try at a new type of game with Blue Toad Murder Files, Relentless Software looks to be heading back to their bread and butter quiz games. 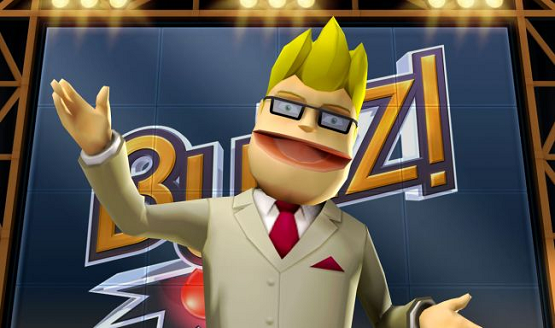 A recent ESRB listing has revealed Buzz! Quiz Player for the PS3 and it couldn’t come at a better time as the Buzz! Quiz World questions are starting to get a bit repetitive. Relentless Software may be busy making six different Blue Toad games, as well as tentatively planning a second series of the franchise, but that hasn’t stopped them also making a new and exciting “Secret Project” that their studio teases as playing to their strengths in the social genre. Little is known about the project with only a few pixilated images shown to tease gamers, now, in an interview with PlayStation LifeStyle, Relentless has released new information about the game. Secret Project #1 – What is Relentless Software working on now?